Steve Jobs was an incredible genius and is one of my favorite icons in the technology world. It is his vision of innovation that has made Apple standout amongst the crowd which includes biggies like Google and Microsoft. 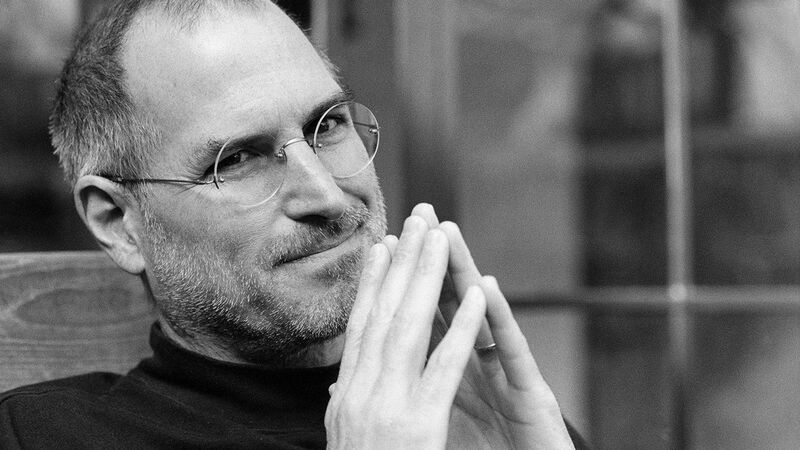 As a tribute to his death yesterday, I would like to share 10 unusual things we never knew about Steve Jobs. 1) Nature versus Nurture. His sister is Mona Simpson but he didn’t know it until he was an adult. Her first novel, Anywhere but Here, was about her relationship with her parents. Which, ironically, was Steve Jobs parents. But since Steve Jobs was adopted (see below) they didn’t know they were brother-sister until the 90s when he tracked her down. It’s proof (to an extent) of the nature versus nurture argument. Two kids, without knowing they were brother and sister, both having a unique sensibility of life on this planet to become among the best artists in the world in completely different endeavors. 2) His father’s name is Abdulfattah Jandali. If you had to ask me what Steve Job’s father’s name was I never in one zillion years would’ve guessed that and that Steve Jobs biologically was half Syrian Muslim. For some reason I thought he was Jewish. His parents were two graduate students who I guess weren’t sure if they were ready for a kid so put him up for adoption and then a few years later had another kid (see above). So I didn’t know he was adopted. The one requirement his biological parents had was that he be adopted by two college educated people. But the couple that adopted him lied at first and turned out not to be college educated (the mom was not a high school graduate) so the deal almost fell through until they promised to send Steve to college. A promise they couldn’t keep (see below). So despite many layers of lies and promises broken, it all worked out in the end. People can save a lot of hassle by not having such high expectations and overly ambitious worries in the first place. 3) He made the game “Breakout”. If there was one thing people loved almost as much as the games on the Apple II+ it was playing Breakout on the first-generation Atari (I can’t remember, was that the Atari 2600?) And then breakout on every version of the Blackberry since 2000. If he had never done anything else in life and I had met him and he said, “I’m the guy who made Breakout”, I would’ve said, “you are the greatest genius of the past 100 years.” Funny how things turn out. He went on from Atari to form Apple. Nolan Bushnell, founder of Atari, went to form the greatest restaurant chain in the history of mankind: Chuck E. Cheese. 4) He denied paternity on his first child, claiming he was sterile. The other had to initially raise the kid using welfare checks. I have no judgment on this at all. Raising kids is hard. And when you have a kid you feel like this enormous energy and creativity you have for the world is going to get misdirected into a … little baby (Jobs’ parents must’ve felt that way as well. Like father, like son). But people change, mature, grow up. Eventually Jobs became a good father. And that’s what counts in the end. Much worse if it was the reverse. I didn’t know this either: that the Lisa computer (the “Apple III”) was named after this first child. 8) He’s a Zen Buddhist. He even thought about joining a monastery and becoming a monk. His guru, a Zen monk, married him and his wife. Trying to quiet the mind to deal with the onrush of non-stop pain that was trying to invade there. The interesting thing about Jobs being a a Zen Buddhist is that most people would think that serious Buddhism and being one of the wealthiest people in the world come into conflict with each other. Isn’t Buddhism about non-attachment? Didn’t Buddha himself leave his riches and family behind? 9) He didn’t go to college. I actually didn’t know this initially. Bill Gates and Mark Zuckerberg are the famous college graduates that I knew about. But apparently Steve Jobs went to Reed College for one semester and then dropped out. guess you don’t need college to program computers, make computers, build businesses, make movies, manage people, etc.